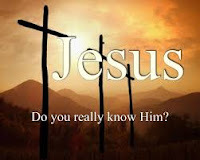 Practical Bible Teaching: DO YOU KNOW HIM? If we are to “examine ourselves to see if we are in the faith” (2 Cor. 13:5), then it will help us to have a standard by which to make that examination. We can do no better than to use what God has revealed to us in His Word through the first of John’s three letters. We will begin looking at “these things” in the order they appear in John’s letter. 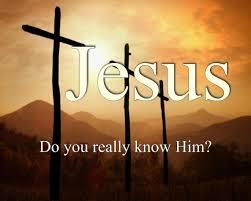 They are things that we are to “know” and if we know them, then we know that we have eternal life. While this passage can certainly be used to judge whether someone else is a believer as they claim, let us turn the searchlight on ourselves for this part of the study. We are considering the command from 2 Cor. 13:5 to “examine ourselves”—not others. What is your experience of God? Great. I’m happy for you. That is a great start, a good beginning; but that is not what the Holy Spirit is asking us here in this passage. According to this passage, we can “know” that we have come to know HIM if we find ourselves keeping His commandments. In other words, your heart was changed as a result of your trip to the altar, and you began to keep the commandments of the Lord. That should be your "experience." Two objections to this type of thinking immediately surface in today’s church. The only real command is to love. First of all, I didn’t write that passage. John, the Apostle of Love wrote it. Thirdly, the second objection is interesting. It sounds good on the surface, even spiritually correct; but it is highly deceptive. The objection is deceptive, because it is used as an objection to the plain Word of God. We haven’t even gotten into an interpretation of the passage yet; we have only quoted the words from the Bible. Any objection to this is therefore against the Bible, against Jesus, and against John. I don’t think you have a chance to prove your position against three such powerhouses. Now, then. Show me a commandment of the Lord that is NOT an expression of love. You see, the problem we have today is that we apply our weak, humanistically-oriented understanding of “love” to these things. We do not operate from a biblically-oriented understanding of love. It is very common to hear “don’t judge” whenever anything ‘negative’ is mentioned about another. It seems that the current understanding of “love” means that we do not correct anything about anyone for any reason. That, my friend, is NOT love. This is all somewhat off topic, though. The command is for YOU and for ME so that we can know about ourselves whether we truly know the Lord. Do we keep His commandments? Or, do we immediately retreat to one of the objections? Examine yourself whether you are in the faith. Before you go, take time to enjoy this beloved video once again.